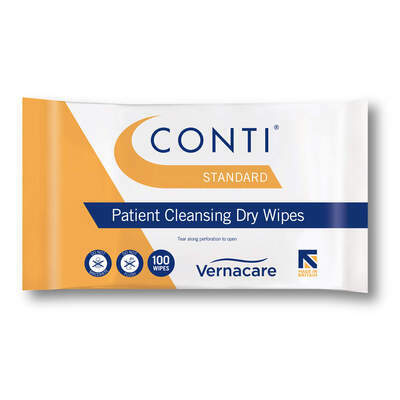 The NHS's No.1 choice for patient cleansing, the Conti Standard Dry Wipes are the perfect choice for every day and continuous use. Designed to be gentle on sensitive skin, each C-fold wipe has been packed together to allow for individual removal and lack of waste. Reducing the risk of cross contamination by allowing the dry wipes to be removed with one hand, these large dimension wipes can be submerged in water or used dry to remove even the heaviest of soiled material. The large and economic pack size means your store cupboard will always be stocked full of this essential resource while a case size of 32 is sufficient to cover medium to large size care and nursing homes. Take a browse through the other Conti Dry Wipes we have in stock or choose an alternative in our Oasis Bed Bath Unperfumed Wet Wipes 10.